Represented by two companies—Mytec Contracting Inc. and Mytec Framing Inc.—Mytec has been a leader in commercial construction for over 30 years. We've worked with many major construction companies across Edmonton and around Alberta, BC and Saskatchewan. Our excellent craftsmanship and experienced leaders take every project we undertake to the next level. 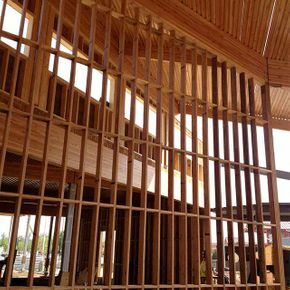 Call us to discuss the details of your wood framing project in Edmonton or the surrounding areas, or request a free estimate by filling out our eform. We value the health and safety of our employees, the satisfaction of our clients, and the high quality of our workmanship. Mytec has the best customer service in the industry, and we strive to complete each unique challenge safely and on time. Mytec is committed to building lifetime customers through accountability, safety, integrity and quality. We take pride in providing our customers with timely, cost-effective service, and our employees with a safe and positive working environment. To achieve these objectives, we stay up-to-date with the latest safety practices and equipment and ensure proper training for each employee. Established in 1987, Mytec Contracting has been a leading provider of commercial wood framing and Mass Timber services that Edmonton and the surrounding area has counted on for the past 30 years. With the diligent effort and dedication of our qualified and skilled employees, suppliers and management, all jobs are done right! Our exceptional customer service, skilled workmanship and professional custom framers are just some of the reasons why Mytec Framing has been one of the most trusted, tested and recommended contracting companies in Edmonton and its surrounding areas.